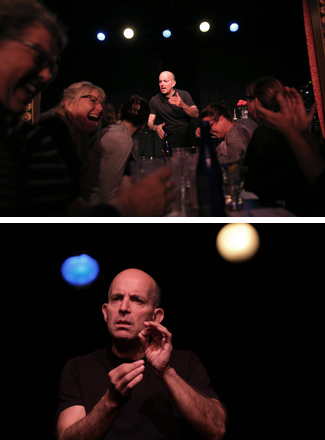 The crowd-pleasing hit comedy “My Son the Waiter, A Jewish Tragedy,” Brad Zimmerman’s self-skewering account of three decades of underachievement as a beloved bad waiter, is still piping hot. It has been playing the Triad Theatre since October 2014! Written and directed by Zimmerman, and produced by Dana Matthow and Philip Roger Roy’s Playhouse Productions, the show the New York Times calls, “delicious, distinctly original and bittersweetly on target” has added shows to its long run and is scheduled to play through the end of the year.